Our specialists team is in the fields every day inspecting real time growth and quality. Daily, they are also in the packing facilities for on-site inspection of food safety and quality. Our Fruits & Vegetables are grown in controlled environments where our trained staff can manage appropriate lifecycles along with potential flaws. Grower Alliance is one of the North America's largest exclusively owned produce distributor. We hold our companies accountable to a high level of customer service. With unmatched fresh produce, knowledge and experience, Grower Alliance provides produce retailers, restaurant chains, and chefs with the ingredients to create culinary success. 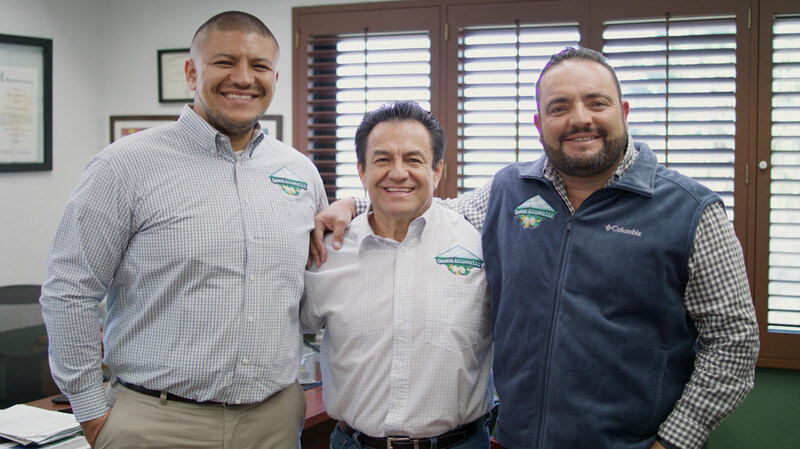 With the passion and enthusiasm of Grower alliance's owner, we will continue to lead the industry as the prominent distributor of fruits and vegetables. Our customers are offered the finest, safest, highest quality produce at the most competitive prices, we strive to provide extraordinary service to all. Raw ingredients, plant-water quality, the cleanliness of processing equipment, and pest and rodent control are just a few of the several conditions reviewed. When looking at different distributors in regards to wholesale fruits, you should rest assured that we know everything there is to know. With over 2000 different types of fruits around the world, it’s interesting that the western world uses only 10% of those. We at Grower Alliance provide reliable shipping across the entire west coast to fit the needs of supermarkets, wholesalers, and restaurants alike. We all are dependent on fruits as a healthy source of food throughout all cultures, and we strive to put the best produce in your hands. Pure fruits come in many different forms, colors, and flavors. Fruits, in various types, are a dietary source of vitamin A, vitamin B, vitamin C, minerals, and fiber. Fresh fruits come low in calorie counts as they typically have a high percentage of water while having little sodium or fat. When canned or frozen fruits are ingested, they have a different effect on the body due to the addition of sugar in pre-packaging stages. Those types of fruit packages usually have a higher number of calories due to the added sugar for taste and preservatives. Grower Alliance has an increased variety of fruits that are available throughout the year by improving long-distance transport. We utilize the best possible storage systems that are proven to increase the shelf life of fruits for all of our clients. By offering fresh fruits, we can make sure we provide the best nutritional value while your customer focuses on living a healthy lifestyle. Our trained staff of fruit growers analyzes and tracks the progress from pollination and fertilization to flowering, then fruit development, and lastly ripening. We strive to deliver wholesale fruits that exceed typical standards while maximizing the efficiency of ordering departments. Based on the recommendation from the CDC, we properly handle and ship wholesale fruits free of contamination, or foodborne illnesses. We carefully select fruits that are in optimal condition while continuously striving to not damage or bruise fruits during shipping and handling. If you’re looking for a new distributor, we at Grower Alliance focus on wholesale vegetables day to day for companies of all sizes across the west coast. With over 20,000 edible plant species, it is interesting that humans only consume about 20 species as a normal food source. Whether you’re a restaurant, wholesaler, supermarket, Grower Alliance can surely fit your vegetable ordering needs. All of us love healthy vegetables, they’ve been proven to increase the ability to be active. Our goal is to provide the best quality vegetables to you in a fast, convenient way right to your doorstep. Originally, plants grew locally and around 10,000 BC they began to be cultivated, and later traded throughout cultures. Vegetables can be consumed raw or cooked and are a vital part of human nutrition as they are low in fat and carbohydrates all while high in vitamins, minerals, and fiber. From a nutritional perspective, it is recommended that people eat plenty of vegetables, from 5 to 6 portions a day. Our crops are cultivated and protected from harsh environments while allowing the rapid wholesale vegetable shipping and handling to deliver fresh, healthy vegetables. Our facilities treat delicious vegetables with safe products during the harvesting of the crops. We then grade them, store, process, and ship quality vegetables right to your front door. The high-grade facilities we operate are specifically designed to optimize the shelf life of all of our produce. When you order from Grower Alliance, you will only get the best vegetables, all grown and shipped with safe and healthy products. We have professionals working every one of our departments to ensure fast delivery of fresh produce at a competitive price. By focusing on your health-conscious clients, and ordering from our sales department, we can partner up to deliver better vegetables. The CDC recommends that we all handle vegetables free of contamination or foodborne illnesses. Our team delicately inspects vegetables to secure items that are fresh and high quality, then deliver them without damages or delays. Grown with passion, delivered with love! We are located in sunny Rio Rico, Arizona, you are always welcome to visit our lovely warehouse. Feel free to contact us for more information, we are friendly and would love an opportunity to speak with you about you produce needs.